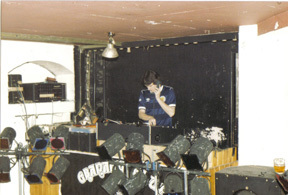 Phil Martin was a regular visitor to the club from 1982 through to the closure in 1988 and remembers the rock nights with DJ Adrian Coleman at the turntables. 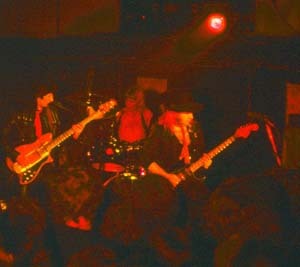 On Saturday 2nd February 1985 the group on stage were MAGNUM. That was the third out of the five appearances they made at the Granary. Phil took his camera along on the night and took the following pictures. Thanks for letting us see them Phil. 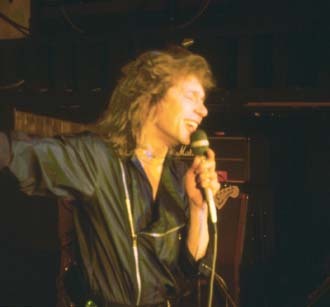 Vocalist Bob Catley - are you in the crowd? From the depths of the Granary Archives some long lost photographs have been unearthed showing the Club’s final DJ Adrian Coleman at work in the disco booth along with the much loved Granary DJ Glenn Daniel. Glenn tragically died from a heart attack several year ago. 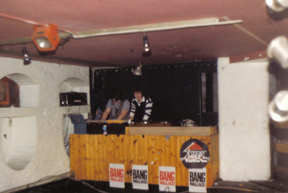 Glenn took over the disco when Al Read left in 1982 and it was Glenn, Adrian and DJ John Mason who looked after the rock on record through to the last night in 1988. 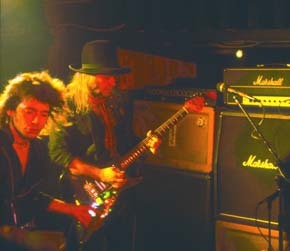 Glenn Daniel on the left, Adrian Coleman right. The posters advertised BANG WALLACE who played the club on Thursday 27th September 1984. 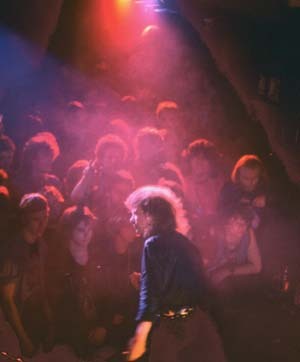 Adrian on another night with the “Granary Home of Rock” banner on display behind the band’s lighting rig. 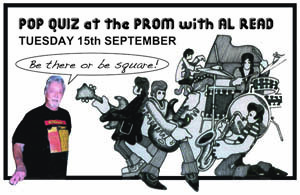 Have a question filled night and prove you’re a smarty pants (are you smarty or are you pants?) and win prizes.